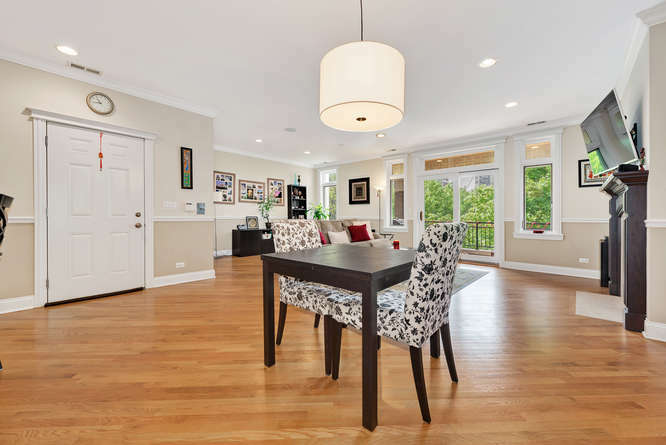 Meticulously maintained, hard to find 1,950 square feet condo in a prime East Lake View location on a extra wide lot! 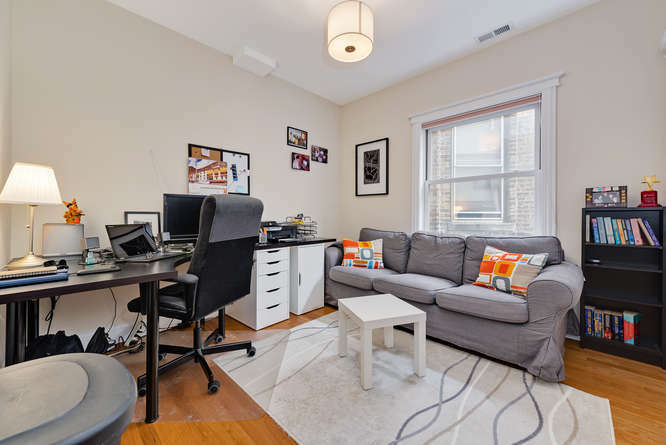 This enormous light drenched unit boasts floor to ceiling south facing windows, a gourmet kitchen with top of the line stainless steel appliances along with hardwood floors and crown molding throughout. The open floor plan includes 3 large bedrooms, 2 full bathrooms, a spa like master bathroom with steam features, heated bathroom floors, mosaic tiled bathrooms, lots of storage space, surround speakers, 2 private balconies. 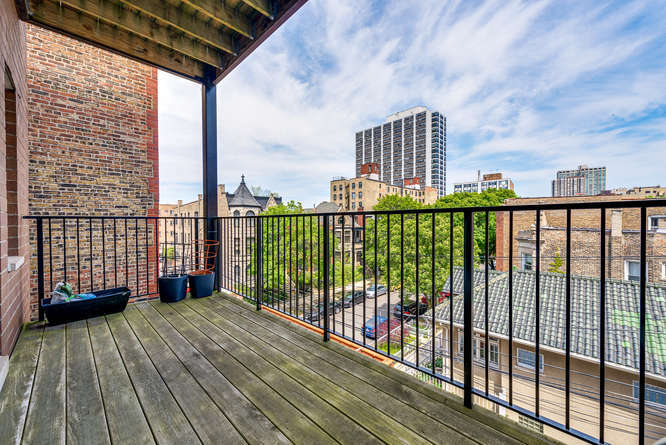 This Southern exposure condo is perfectly located steps from the lake, and all of Broadway’s shops and restaurants. 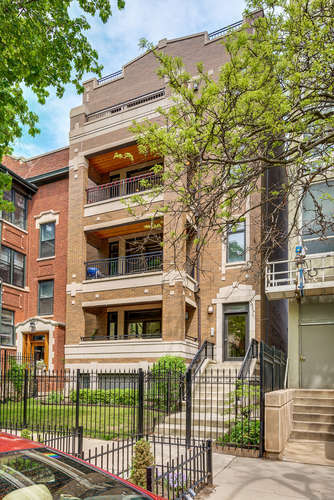 Financially sound all brick building includes 1 garage parking space and low assessments! 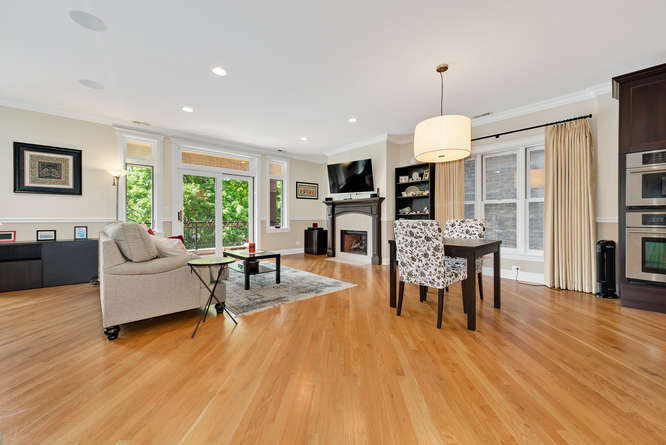 The sun drenched living room has everything on your wish list, surround speakers, crown molding, wainscoting and diagonal hardwood flooring. 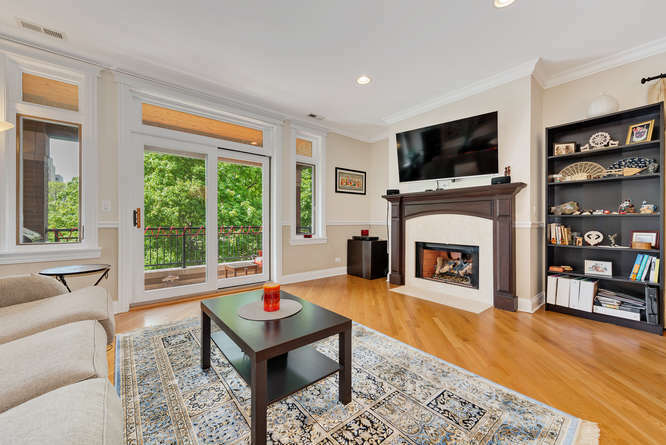 Notice the floor to ceiling French doors that lead to your private balcony. 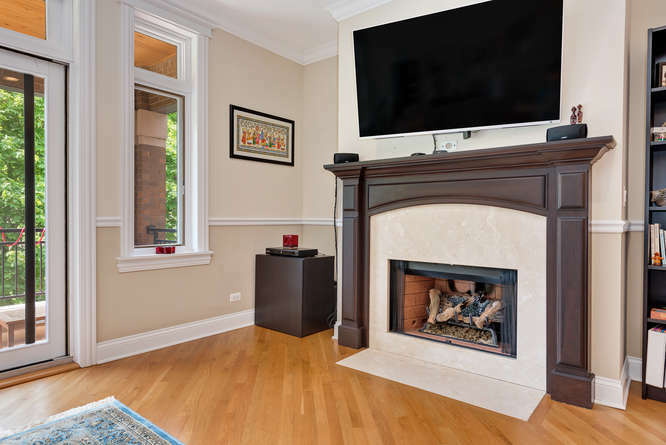 The condo has elegant design elements, such as crown molding and a fireplace mantel with neutral natural stone accents. The covered South facing balcony provides you with outside space along with an additional area for entertaining. The extra wide building provides you with endless design ideas and allows you to easily accommodate a larger dining table. 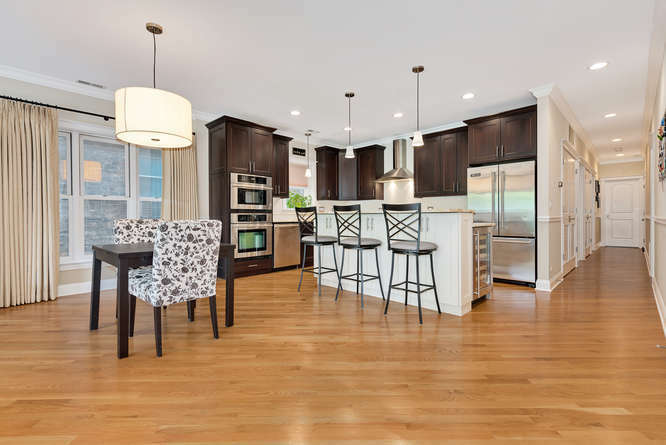 The open modern layout is ideal for entertaining. The gourmet kitchen is the focal point of the unit. 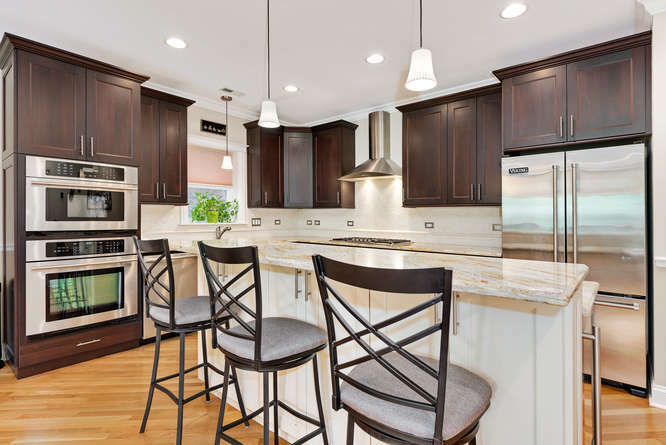 Features all stainless steel appliances, dishwasher, natural stone countertops and a timeless mosaic backsplash. 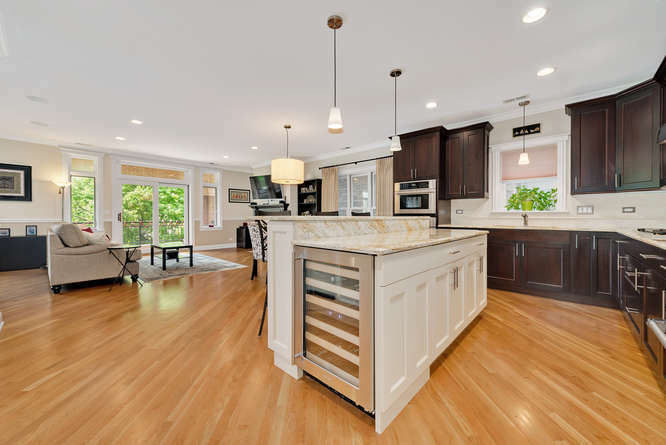 Notice the wine refrigerator at the end of the kitchen island. The master bedroom includes an extra-large walk in closet, a spa like master bath and a private balcony ideal for viewing afternoon sunsets. 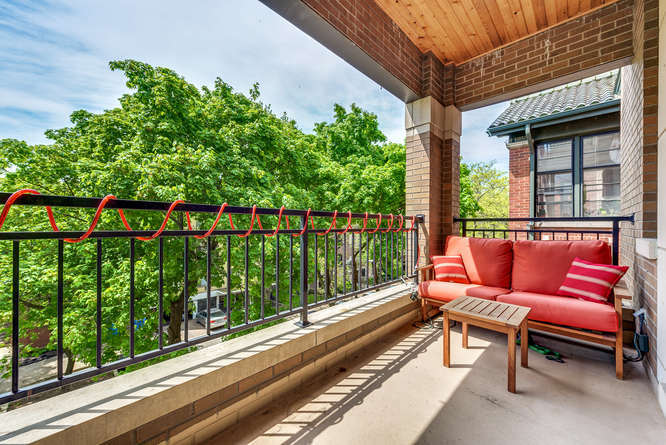 This private balcony off the master bedroom will allow you to enjoy memorable summer sunsets. 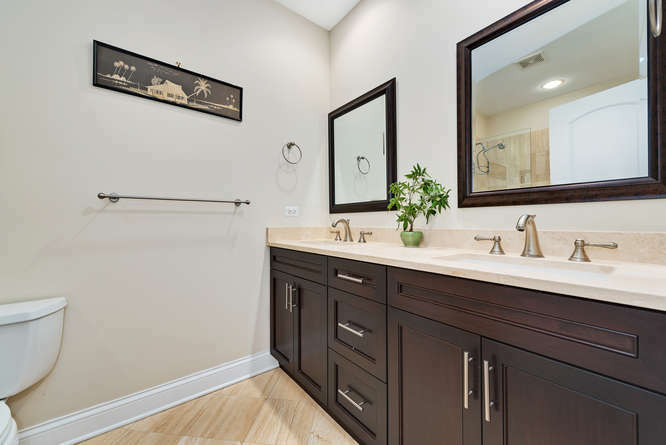 The master bathroom features double sink vanities, a large master shower with steam features. 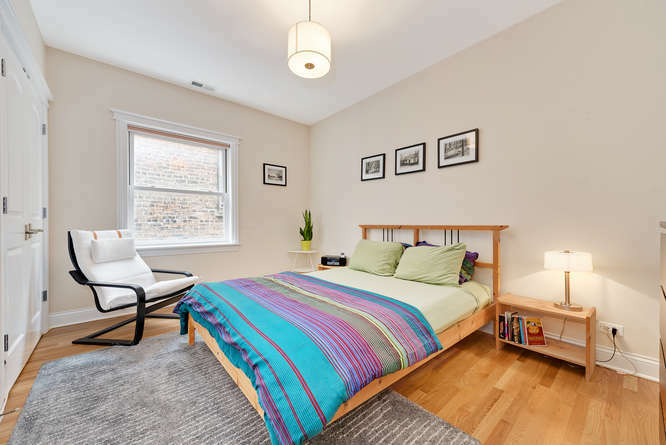 The 2nd bedroom has ample natural light and plenty of closet space. 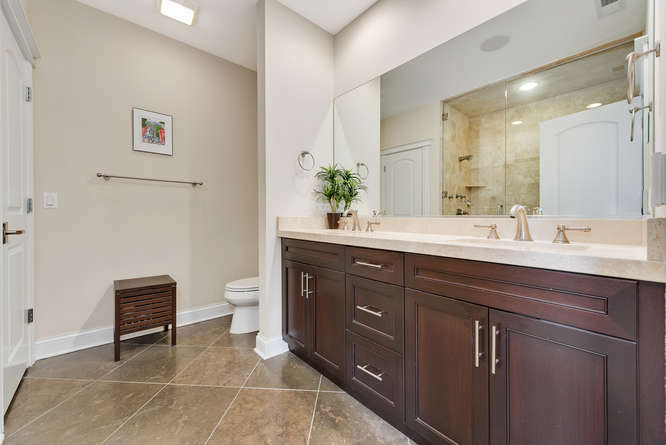 The full 2nd bathroom has timeless, neutral natural stone tile and a double sink vanity. Photographed as a home office, the 3rd bedroom has plenty of natural light. 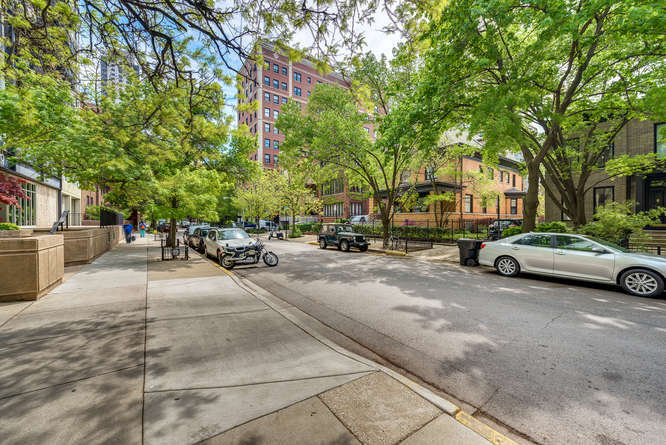 Nestled in one of Lakeview’s most charming streets, you will love coming home.